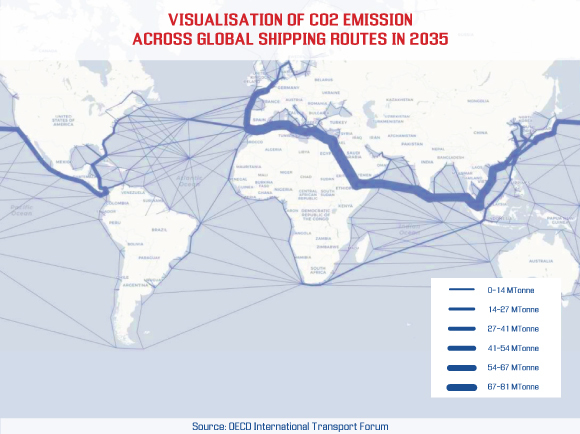 After the International Maritime Organization (IMO) in mid-April reached a historic decision affecting to cut the global shipping sector’s greenhouse gases (GHG) by 2050, the shipping industry needs to get ready to drastically change current practices. The 173 member states of the IMO agreed to cut greenhouse gas emissions by “at least” 50% by 2050 compared to 2008 while pursuing efforts towards phasing them out completely. These decisions put the shipping industry around the world and regardless of their ships’ flag state under pressure to act accordingly. At the same time provide the regulations provides much needed guidelines for shipowners’ and operators’ future actions. 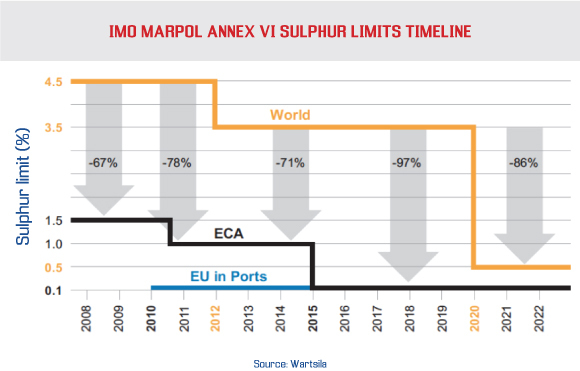 In addition, the introduction of the IMO’s global Sulphur cap of 0.5% for marine fuels is just about 20 months away. 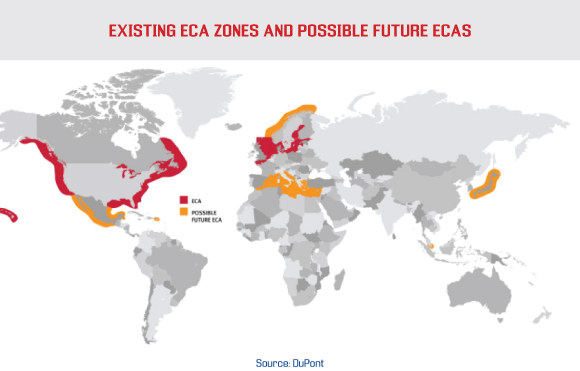 This global regulation will reduce the allowed sulphur content in ship fuel from 3.50% to 0.5% and complements measures already in place in emission control areas (ECAs) in Northern Europe and North America, where the maximum sulphur content has been 0.1% since 2015. From January 2020, ship owners will have to find solutions to decrease the sulphur oxide (SOx) emissions of their vessels substantially. To comply with these new regulations, the shipping industry has to apply innovative measures. For a long time, the use of Liquefied Natural Gas (LNG) has been hailed as the best option to meet the IMO’s global sulphur cap. Because LNG is almost pure methane, the application of using a gas-only engine can reduce SOx emissions and particulate matter by almost 100% compared to conventional fuel oil, according to IMO. However, there is a catch: the handling and combustion of LNG involves the release of unburnt methane, also known as methane slip. This can diminish its overall environmental advantages, depending on the volume of the methane emissions. Methane is a very potent GHG with global warming potential 28 times higher than CO2 over a period of 100 years and 84 times higher over a 20 years’ period, according to the report “Decarbonising Maritime Transport by the International Transport Forum (ITF), which is available here. Thus, while switching to LNG may solve the shorter-term issue of reducing certain ship emission, this will not respond to the wider goal of reducing the industry’s GHG emissions. To meet this target, significant operational and technical improvements will be needed instead. Operational measures refer to the way in which ships and maritime transport systems are being operated, mainly in terms of speed, ship size, ship-port interface and onshore power. 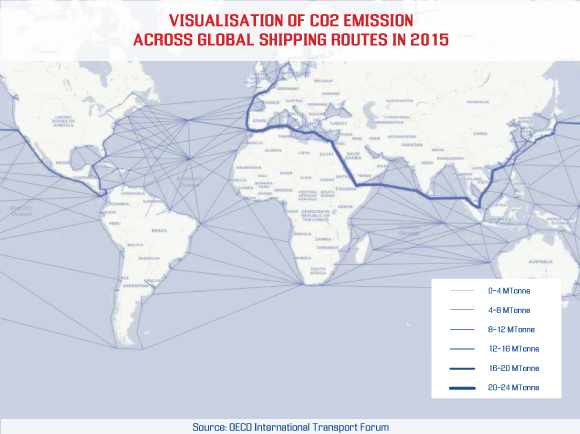 For example, both the introduction of slow steaming and Ultra Large Container Vessels have over the last years contributed to a decrease in shipping emissions. The ship-port interface relates to a reduction of a vessel’s waiting time before being able to enter a port. Onshore power facilities reduce the emissions of ships whilst in port. 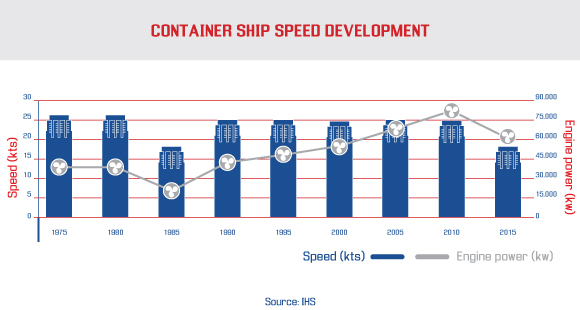 Ship size developments affect ship capacity utilisation and shore power facilities impact ship operations. Technological measures cover technologies applied to ships that help increase they energy efficiency. For instance, this might refer to the weight of ships, i.e. by applying lighter materials. Furthermore, there are ways to reduce the friction of vessels, such as hull coatings and air lubrication as well as ways to recover energy, such as via propeller upgrades and heat recovery. A slender design or the design of the bulbous bow are other possible measures. All of these technologies are available on the market, but not all options can be applied as a retrofit. The goal to emit less GHG altogether is surely ambitious. However, a combination of measures covering technological and operational innovations, as well as alternative fuels and energies could make it happen - even before 2050.